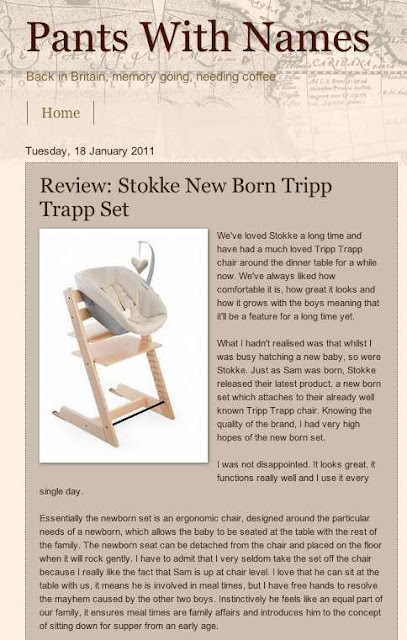 A very big thank you to one of our favorite mummy bloggers, Emily from Pants With Names for the great review of our new baby, Tripp Trapp® and Tripp Trapp® Newborn Set. To continue reading the review pop over to Emily's blog by clicking on this link. Why don't you subscribe to her blog whist you are there?